It shaped pro-poor environmentalism at national and global levels as much as it influenced our founder editor Anil Agarwal, who was among the first few to write about the decade-long movement. In 1992, when Down To Earth was launched, he sent a correspondent to visit the villages where the movement had grown, only to find a different story ("Chipko: an unfinished mission", April 16-30, 1993"). With conservation receiving greater emphasis, the gulf had widened between local reality and national and global perceptions. 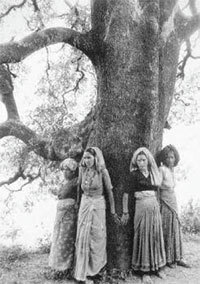 Many youth, who were part of Chipko, had started Ped Kato Andolan as the Forest Conservation Act, 1980, was obstructing construction of roads, bridges and electric poles in the villages. A deeper analysis of Chipko is needed to better understand true environmentalism of the poor, Agarwal warned. 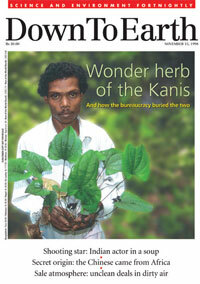 In 1998, much before the world signed the Convention on Biological Diversity, we wrote about the Kanis who asserted rights over their traditional knowledge of the wonder herb, arogyapacha ("How to sell a wonder herb", November 1-15, 1998). 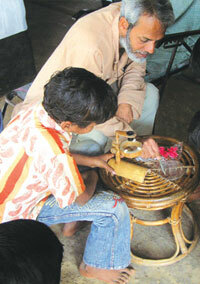 They received a share of the licence fee and royalty earned from Jeevani, a product prepared using the herb. Jeevani was soon heralded as the world's first product to exemplify benefit-sharing system. It's another matter that the Kanis have not seen the benefits since 2008. Down To Earth was the first to write about the "rain catcher" in 1993 when Singh and his non-profit, Tarun Bharat Sangh, were mobilising villages in Rajasthan's Alwar district to restore traditional rainwater storage tanks, called johads, and to change the landscape of the desert. Today, this recipient of the Ramon Magsaysay Award and Stockholm Water Prize is regarded as one of the "50 people who could save the planet". 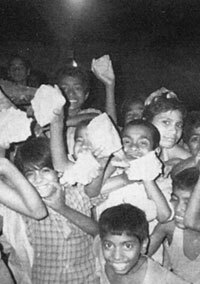 In 1992, Down To Earth noticed a unique movement in Kesharpur in Odisha's Nayagarh district. Every morning, two families in the village would find batons in their frontyards which decided their day's work: guarding village forest from timber smugglers. Initiated by school teacher Joginath Sahoo, thengapalli movement has since inspired hundreds of villages. The movement is now included in the school curriculum of Hampshire county, UK. He rose to become the symbol of farmers' power in 1998 after he got 10,000 farmers to siege Meerut for 40 days and brought the Centre to a halt. But Down To Earth has been writing about his farmers' rights movements since 1993 when he was staging rallies to oppose WTO's General Agreement on Tariffs and Trade. His political influence waned within a decade, but we kept highlighting his views on subsidies and Special Economic Zones. In 2008, when he was fighting cancer, Tikait gave Down To Earth an exclusive interview on India's agrarian crisis and its underlying causes, which we published in the October 1-15 issue. In 1986-87, when Raj-Samadhiyala village in Rajkot district of Gujarat was declared a desert area, Hardevsinh Balwantsinh Jadeja, then sarpanch of the village, led the residents to construct 12 checkdams and 50 microwatershed projects and plant thousands of trees. The result was phenomenal. In 2000, when Down To Earth visited the village to gauge the impact of a severe drought prevailing in Gujarat, the wells of Raj-Samadhiyala were brimming with water. 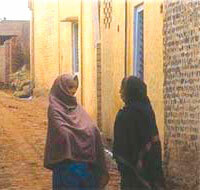 Other villages in the semi-arid region now follow its footsteps. Down To Earth has been featuring Anna since it started tracking drought in Maharashtra. Anna changed the lot of drought-stricken village Ralegan Siddhi through watershed management. In 1991, the state planned to create 300 ideal villages based on Anna's model. But the scheme could not take off due to corruption. 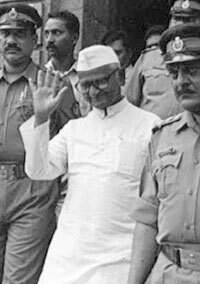 In 1998, Anna was sentenced to three months of jail for levelling corruption charges against Maharashtra social welfare minister Babanrao Gholap. 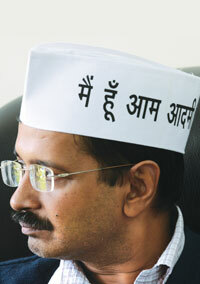 Since then, Anna has been dreaming of a corruption-free India and we have been part of his journey. The nation came to know about this forest village of Maria Gond in Maharashtra's Gadchiroli district in 2008 when it became the first village to win community rights over its forests under the Scheduled Tribes and Other Forest Dwellers (Recognition of Forest Rights) Act, 2006. But we have been writing about it when it started its battle against forest bureaucracy in 1992. Then we had said, "It can offer a lesson on how to run a functioning democracy." Four decades ago, forests of this sleepy village in Hazaribagh were depleted due to felling by the forest department and people from neighbouring villages. The residents decided to act. In 1982, they declared sovereignty over natural resources, including a coal mine, 200 hectares of sal forest, water sources and farm fields. In 2002, when Down To Earth visited the village, it realised their traditional gram sabha was managing these resources well and had set up a school and a dispensary. Semi-religious fraternities do not really draw our attention. But when we learnt that Swadhyay, a movement propagated by a semi-religious fraternity, promotes sustainable agriculture, checks groundwater depletion and takes care of community needs, we featured it in our magazine ("The answers within", May 16-31, 1998). By the time Down To Earth was founded in 1992, tribals in Ranchi district had been protesting against Koel-Karo hydel project for 20 years. Down To Earth visited the conflict zone to document the longest fight against a dam in the country. The movement eventually led to the creation of a separate Jharkhand state, with the new government ordering closure of the project. His struggle to bring about a change in governance had begun way back in 2009, when he would hold mohalla sabha, a general body meeting of the residents of an area following the concept of gram sabha. Down To Earth had reported about this experiment of the Magsaysay awardee and how it brought people and authorities face to face, in its April 16-30, 2010, issue, much before Kejriwal became the chief minister of Delhi. 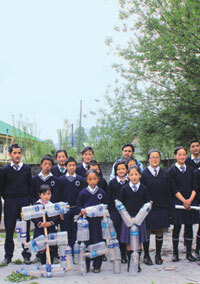 In 2014, we published an initiative by 32 youths from Sikkim's Lanchen village who organise clean-up drives at the end of every tourist season. Today, it is the first village in India to ban bottled water and manage the trash left behind by tourists. This voluntary organisation is a must stop for rural development practitioners to get trained. In 1992, its work was focussed on women empowerment through mahila sanghas in Tamil Nadu. Over the years, MYRADA has evolved by roping in the entire village community who prepares strategies that are creative, productive and sustainable. Down To Earth has been a witness to its evolution. Centre for Environment Concerns (CEC), a Hyderabad-based NGO, developed a technology to assure continuous moisture supply to plants. Using the System of Water for Agricultural Rejuvenation (SWAR), many farmers in the arid Anantapur district of Andhra Pradesh are growing orchards. We published the story in October 16-31, 2014 issue. In February this year, CEC won the Global Champion First Prize for innovation in the category of Climate Change and Forestry at the International Agriculture Exposition in Paris. Much before the Centre introduced Nirmal Bharat Yojana to provide toilet facility in each household, Shramik Bharati started helping slum dwellers of Kanpur to get drinking water, latrines and medical care. We featured its initiative in the September 16-30, 1992 issue. Today, it is a well-established NGO that works with both rural and urban people. The heroic battle of this reclusive hill tribe of Odisha's Niyamgiri hills hogged headlines globally in 2013 when it forced the state and the Centre, along with the judiciary, to come to its doorstep and forced mine giant Vedanta to abandon its plan of mining their sacred hills. Down To Earth captured this historic struggle in every detail, while documenting the self-sufficient lifestyle, rich culture of the community and their association with nature. 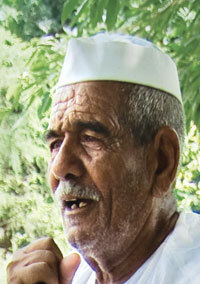 He has been guarding seeds of over 750 rare rice varieties for about two decades. His only help are the farmers who still depend on heirloom seeds. In 2012, Down To Earth visited Debal Deb's hut in Odisha's Rayagada district to document how he safeguards these unique germplasms from bio-piracy. He has inspired many across India to conserve rare seeds. In the early 1980s, this village in Haryana's Ambala district earned worldwide acclaim for the way people transformed the barren landscape. Its model of self-reliant development attracted economists. So much so that the Prime Minister's Office started looking for the village. Down To Earth, through two cover stories and several articles, has tracked this village's journey from the depths of poverty to a level of prosperity. In 2002, groundwater levels were rapidly declining in Chennai. This is when the Chennai-based citizens' action group, with the help of Centre for Science and Environment, established the country's first rain centre to promote rainwater harvesting. As more people's groups started harvesting rainwater, we wrote about their innovative ways. A decade later, when Down To Earth revisited Chennai, we found that the initiatives have transformed its water scenario. It's rare to come across communities that oppose the Centre's decision to allocate coal blocks to private firms and float a company to mine coal beneath their land and generate power. That is what the residents of this coal-rich village are doing. To assert their rights over natural resources under their land, they have been celebrating Gandhi Jayanti as coal satyagraha since 2013 ("People's power", December 16-31, 2014). Bharat Jan Vigyan Jatha . 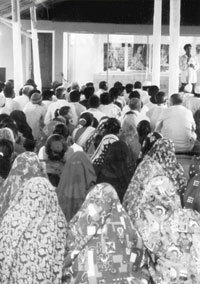 In the June 1-15, 1992 issue, we wrote about Bharat Jan Vigyan Jatha (BJVJ), a people-centric scientific campaign that promotes rationalist attitude to life at a mass level. Then, its focus area was to bust the so-called miracles by explaining the scientific tricks behind it. Today, BJVJ's campaigns focus on environment, climate change and pollution-related public health. 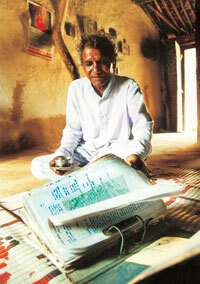 In 2002, we wrote about this village that was the true product of Bhoodan movement. It doesn't need a collector. Its gram sabha collects tax and sends to the government and manages its natural resources. Though the state amended the Rajasthan Gramdan Act, 1971, and removed section 43, which gave wide-ranging powers to the gram sabha, the village continues to remain a true republic.